For each script we write, we create two separate versions – one for girls and one for boys – because most children’s parties at movie party age tend to be either all-boys or all-girls. Each is listed separately in our catalogue. However, if you’d like a version with a mix of the two, or have any other requests, just let us know and we’ll see what we can do. All of our current scripts are available in versions for both boys and girls and are suitable for children anywhere between the ages of 8 and 14 – depending on the general maturity of the children involved. You can see sample pages for each of our scripts here on the site, so you can easily tell if your child would be comfortable with the language and concepts involved. 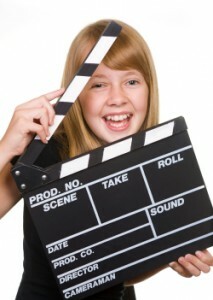 We also write bespoke scripts covering particular themes or groups of children with specific requirements. Please email us for details and prices. We add new party scripts to our list all the time, so check back regularly for updates.